Nothing like a 20 year anniversary to make you feel old, but I can't be doing that bad since I was out there playing! Really it wasn't my 20 year anniversary. 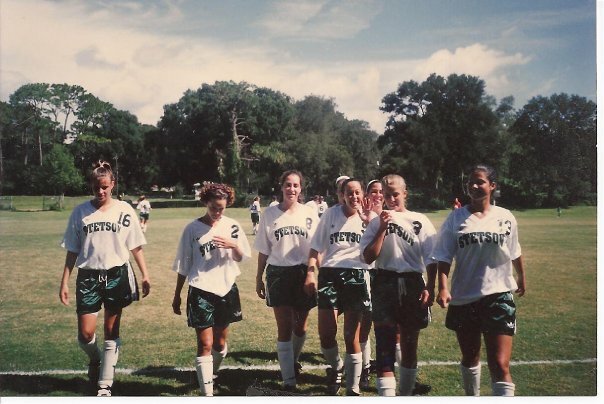 It's the anniversary of the start of the Women's Soccer Program at Stetson University! I started playing there in the second year of the program. So much has changed since then. The new team will be enjoying an awesome new field house located right at the soccer fields which are now lighted! 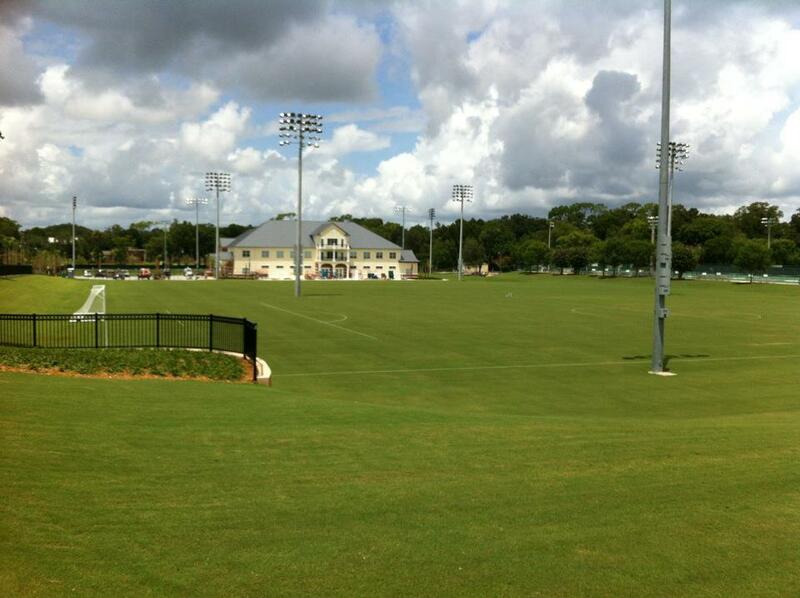 I think I was promised lights all those years ago when I visited Stetson on my recruiting trip. That didn't take long! 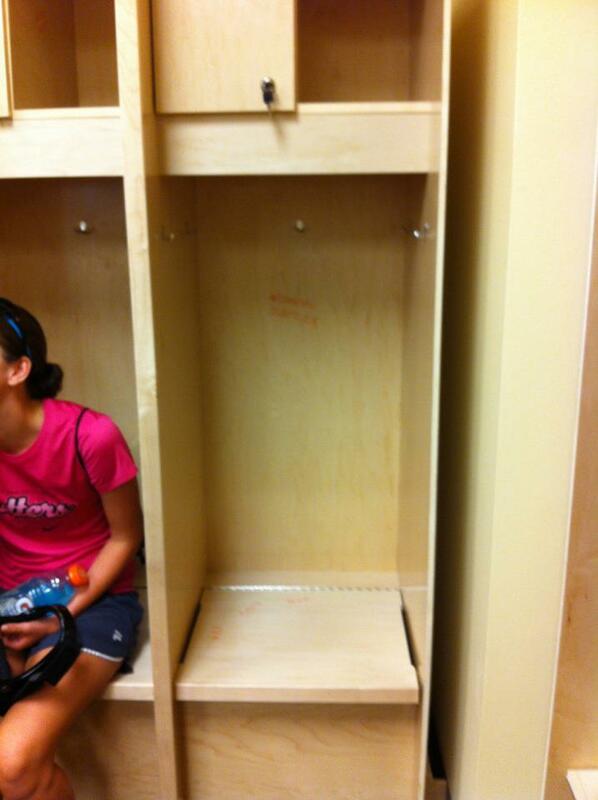 No more walking a half mile from the locker rooms at the gym to the soccer fields either. Look how pretty the field house is too! Thanks to Ash for the pics! 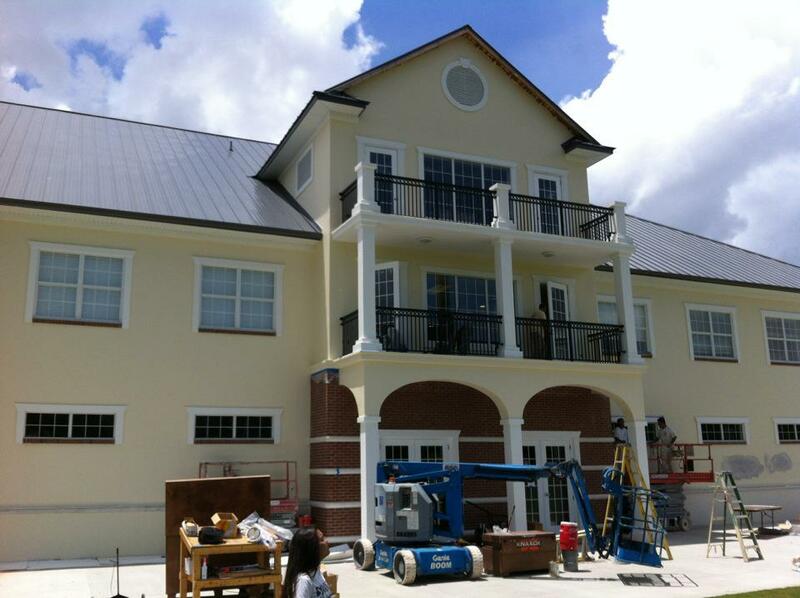 Much of the new facilities are due to the fact that Stetson will now be re-starting their football program. The team will be back after a 57 year hiatus. Check out a short history of Stetson Football. The football team as well as a new women's lacrosse program is hoping to attract more students to Stetson as well as add to campus life. I'm hoping it also adds to the availability of Stetson gear to wear! So much out there for Seminole and Gator fans, but not so much for small schools. I think it will be fun to bring the family out to watch some Stetson football. I kind of felt like I missed out on tailgating and some camaraderie not having a football team when I was there. It's always fun to go back and reminisce about the good old days. This trip was no different. There were only a few of us from my time, but we remembered so many fun experiences and many mischievous ones as well. It's nice to look back and remember all the good and maybe not so good times in a positive way. I guess time always puts things in perspective and all of those experiences have made me who I am today. Even though times have changed, there is still a feeling of home and team whenever I go back. My kids have told me that they want to go to Stetson. I've told them that they better study hard because it is not cheap!! Start working on those scholarships now! We began our anniversary day touring the new field house. 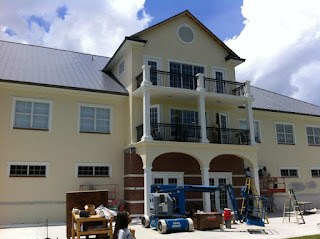 There are some lucky students that will be enjoying those locker rooms, weight room, video viewing room, and skype room! Not sure who they will be skyping, maybe Mom and Dad. After the tour we headed out to scrimmage on the new game field. The alumni teams were still looking good. We all held our own out there. Good to know that I can hang with the young alumni, especially since I think I was the oldest of the alumni playing. Ouch, that hurts to say. It's still fun to be out there though, so I'll keep at it as long as my (2 reconstructed) knees hold out. Once the heat started getting to us, the current team had an intrasquad scrimmage. Then the alumni went in to challenge the current team. The battle went back and forth until the current team scored. I'm sure we would have caught back up if we had kept playing much longer, or at least that's the story we are going with! 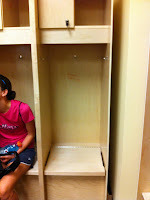 After playing, we headed into the gym for a yummy dinner and a presentation of the 20th Anniversary Stetson Soccer Team. The presentation started with some trivia of the team including the names of the first five graduating seniors that started the program: Kellie, Melissa, Tricia, Alisa, and Sylvia. The name of the player that scored the programs first goal and first assist. Both were Alisa. The first players to be named to an All-Conference Team, one was me! Then they went on to announce the 20 players named to the Anniversary team. I was honored to be announced as the first player. This was the picture they showed. That was a long time ago! So much fun to look back though. Congrats to all the other players from my time that also made the team: Kellie, Ashleigh, Missy, Genevieve, Kristy, Streeter, Alisa and Sylvia! I look forward to having more of us from our time there at our next reunion. I'm so happy for the current soccer teams and all that they will get to enjoy. 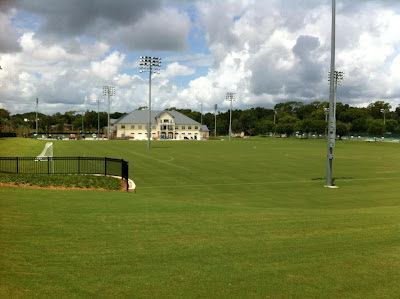 The facilities and field look great. I'm sure they will give the teams that extra amount of pride in their school and confidence in their team. I'm hoping to watch a game from the VIP/Press box! That was awesome. I would like to go next year but see more of us out there. I volunteer to make phone calls. Sounds good! It would be so fun to see everyone again!